Home SharePoint Online Web Parts SharePoint Online: How to Create Chart from List Data using Quick Chart Web Part? SharePoint Online: How to Create Chart from List Data using Quick Chart Web Part? How to Create Quick Chart from List Data in SharePoint Online? 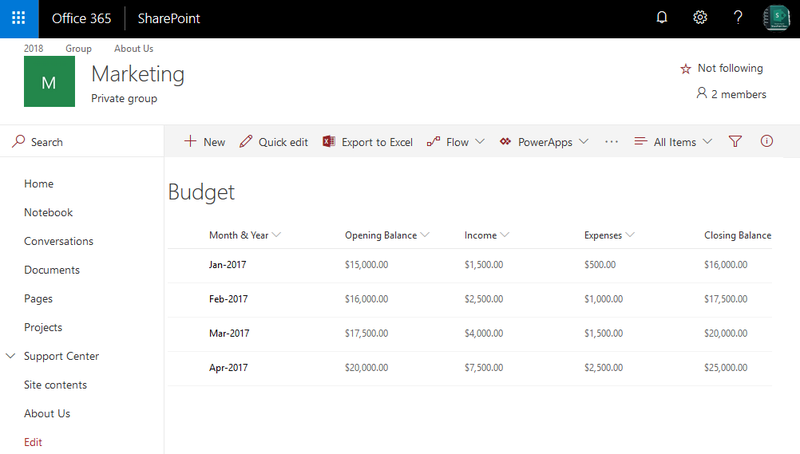 In Modern SharePoint Online sites, we can use Quick chart web part to build bar chart or pie chart from list data. Here is how to use Quick chart web part to create chart from list. 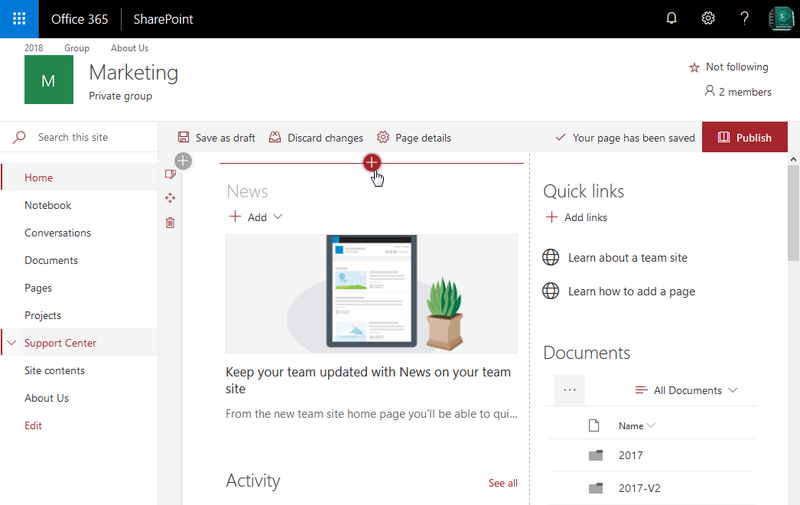 In your Modern SharePoint Online site, create new page or edit an existing page. Click on "+" icon to add a Web Part. 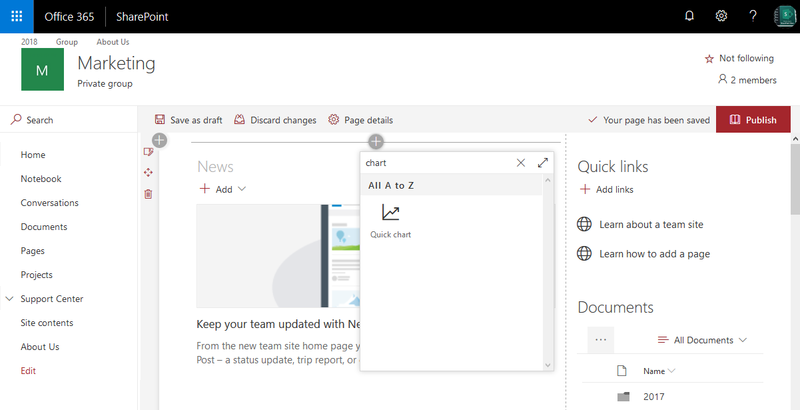 In web parts popup, search "Quick chart" and you'll find Quick chart web Part as in the below screen. Click on the "Quick Chart" web part to add it to the page. Once added, Click on the pencil icon in the quick chart web part area. This opens web part properties in edit mode. Select chart type: either "Column" or "Pie". Specify the option to get the data from the SharePoint list. 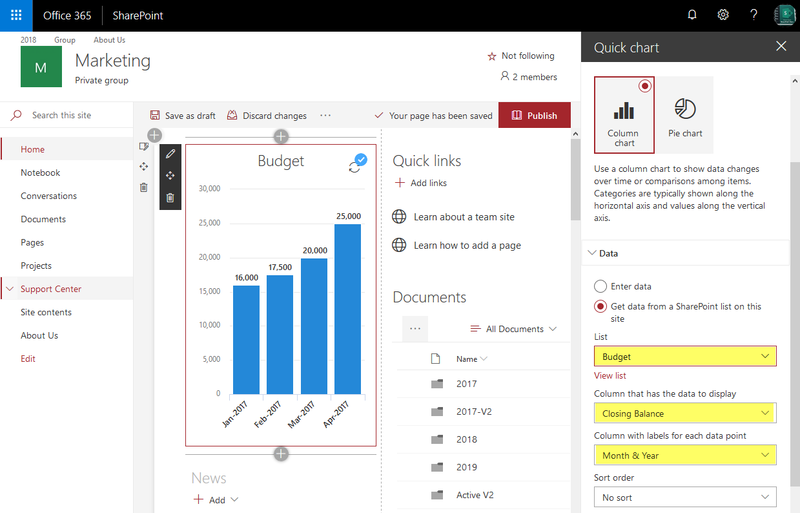 Select the SharePoint list where the chart data resides. Specify the columns for labels and data. optionally set the sort order. That's all. This builds chart in SharePoint Online with few clicks!